Buying a car can be an overwhelming decision. From buying on finance to buying on cash, there are numerous options you can consider. You also need to take into consideration the running costs. Your car is most likely the second most expensive items you will ever buy – after your house. Therefore, it is imperative to decide on the best way to buy a car. If you are wondering how you can purchase a new car, here are six ways to consider. Under this option, the buyer places a small deposit of the agreed amount – although there are cases when the deposit is not needed – and signs on a monthly payment plan. The precise terms for this plan often vary depending on the buyer’s credit assessment as well as the value of the vehicle. In some cases, after half the sale amount has been repaid, you can continue with the payment or simply walk away. Under this plan, you are basically leasing a car, so if there are damages on it, you will be held liable. One of the major drawbacks of lease purchase technique is that the dealer can set a maximum mileage which you are not to exceed. If you do, penalties will be imposed. Additionally, there may be penalties for early repayments but this needs to be clearly outlined in the contract. A personal loan can be obtained from a building society, a bank, or finance provider if you have an excellent credit rating. With the personal loan, you can spread the cost of the automobile over a period of one to seven years. When taking this loan, however, you need to make sure that your loan isn’t secured against any property such as your home because you could put your home at risk if you don’t keep up the repayments. When considering a personal loan, you need to shop around so you can be confident you are getting the best interest rate. You can visit this link to find out more about the personal loan and auto financing. With this kind of purchase plan, the buyer pays off a section of the auto cost over a certain period, usually three or four years. After that period, you can decide whether or not to purchase the vehicle outright, which is something you have to pre-arrange with your dealer. In some cases, you may decide to trade off the car with a newer model. The PCP is always a popular technique because the deposit is not always needed. Additionally, the rate of interest is less when compared with a personal loan. On the other hand, this technique has a drawback in that the sale price of the automobile is fixed, implying you can’t fight for a suitable deal. As is the case with higher purchase, the PCP technique doesn’t make you the legal owner of the vehicle. Therefore, it is impossible to sell the car in case you have an issue making your repayments. However, you can terminate a PCP any time and avail the “half rule” which allows you to return your automobile but with a payment of half the buying price. If you are not in a position to pay half the price of purchase, you can return the vehicle but a difference of the half price and the amount paid will be owned to the dealer. Just like the hire purchase plan, with a PCP, you need to think about what you are going to do before signing the contract. The contract may include other kinds of commitments such as maximum mileage or annual mileage which you also need to think about. For instance, there will be a mileage restriction per year which you need to adhere to. If you happen to surpass the specified mileage limit, it may affect the vehicle’s final value, forcing you to pay a higher penalty. Waiting until you have adequate finances to purchase an automobile can take a long time, but the good thing is you will not need to pay any interest after you have purchased the car. For that reason, having a savings account is beneficial for this process. When planning to buy a car, you can set up a goal for your savings and make sure you break the goal down into milestones. From there, you can set up automatic payments from your usual account into your savings account as you work towards achieving your goal. More often than not, car dealers usually offer finance as a means of acquiring an automobile. If you are considering working with a dealer, there are a few things you need to clarify. First, you need to know what the interest rate is. Compare the rate offered by the dealer with that of the personal loan so you can be sure you are getting the best deal. You also need to ascertain whether there’s a balloon payment in the end. The repayments may appear cheap until you find out that there are additional charges when the loan term ends. Paying with a credit card makes so much sense as long as you are confident you will pay your bill in full. Sometimes, buying a car with actual cash may seem impractical, and you may not get any rewards for that. If you make a decision to pay using a cashier’s check, a small charge for issuing the check will be charged by the bank, and like the case of cash, you’ll not get any rewards. 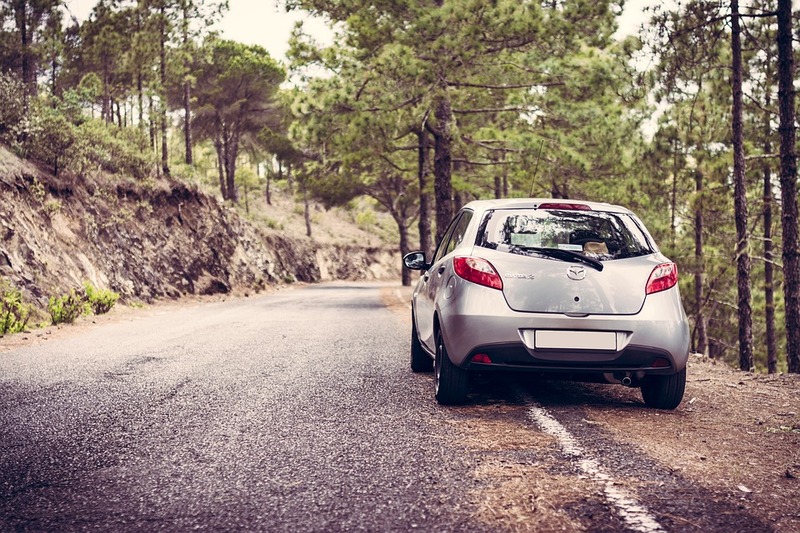 Nevertheless, if you buy your car using a credit card, there are numerous ways you can benefit such as earning cash back, airline miles, or any other kind of reward offered by your card. Since an automobile can cost a lot of money, you will most likely get a substantial reward for your purchase. For instance, purchasing a car worth $20,000 with cash back of 1% on your card will mean you can earn $200. 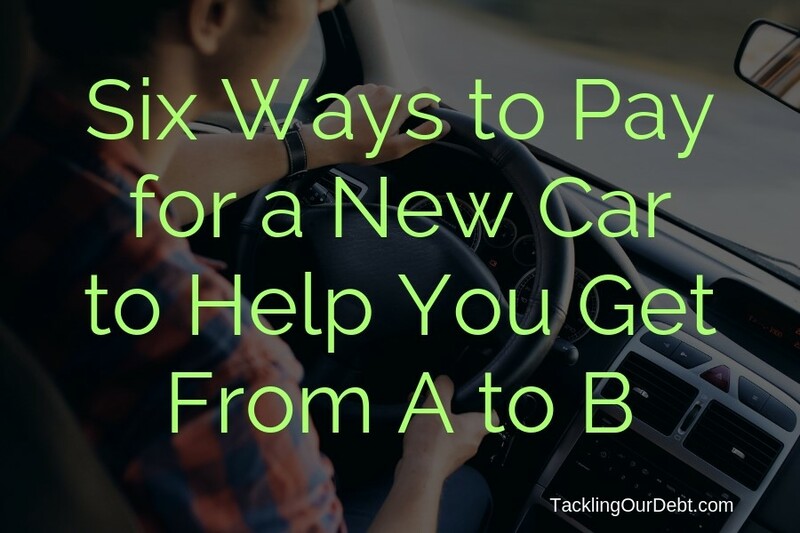 The above are six ways to pay for a new car. Before you can use one of the methods above, you need to weigh your options to determine which among them meets your needs in the best way possible. PreviousWhat Does Foreclosure Mean and Why Does it Matter to You?